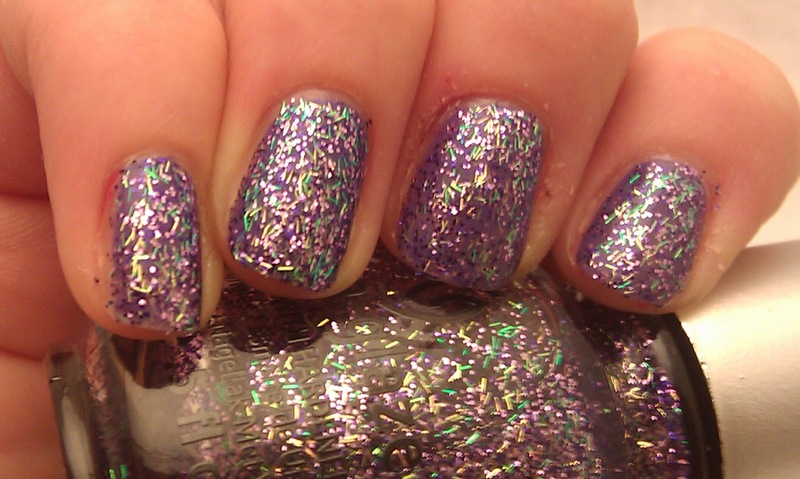 You may have seen this polish in my haul post a few weeks back. This lovely is China Glaze Marry A Millionaire. I got this as a gift from Ave at Polish Pixelle! 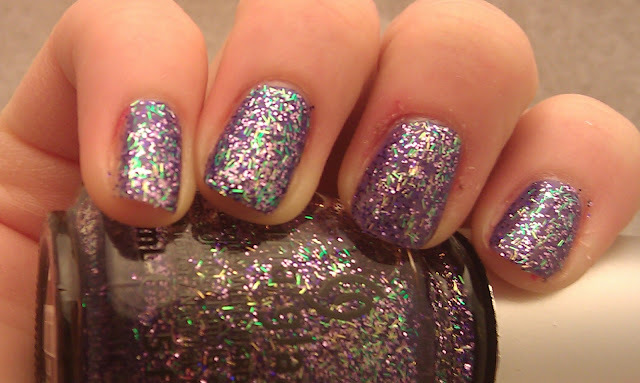 I can't thank her enough for this polish because it has turned out to be one of my favorites! I actually had something else in mind for my forever mani but I loved this too much! 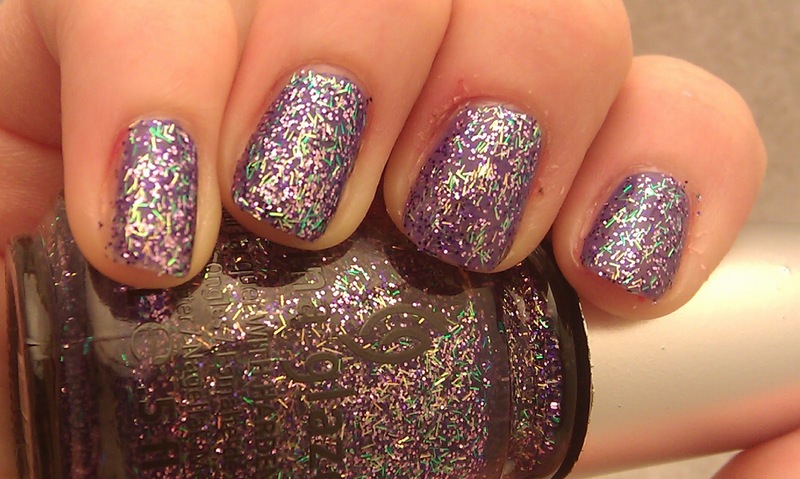 This polish is a perfect mix of purple, yellow and green bar glitters along with tiny purple hexies. I wore this over one coat of WNW Megalast On a Trip. 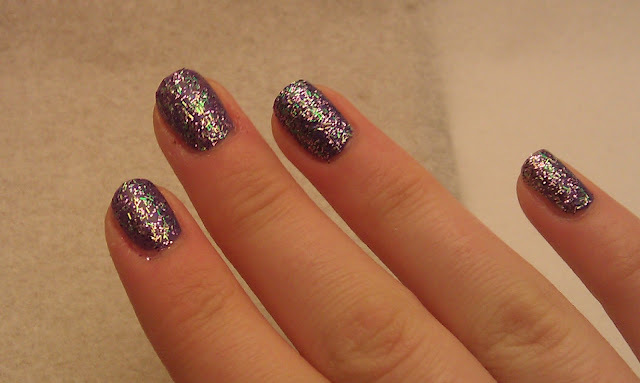 This glitter is dense so it could easily be worn alone. 1 coat On a Trip. 1 coat Marry A Millionaire. Seche.